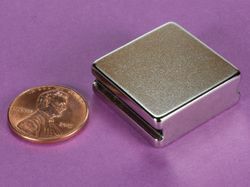 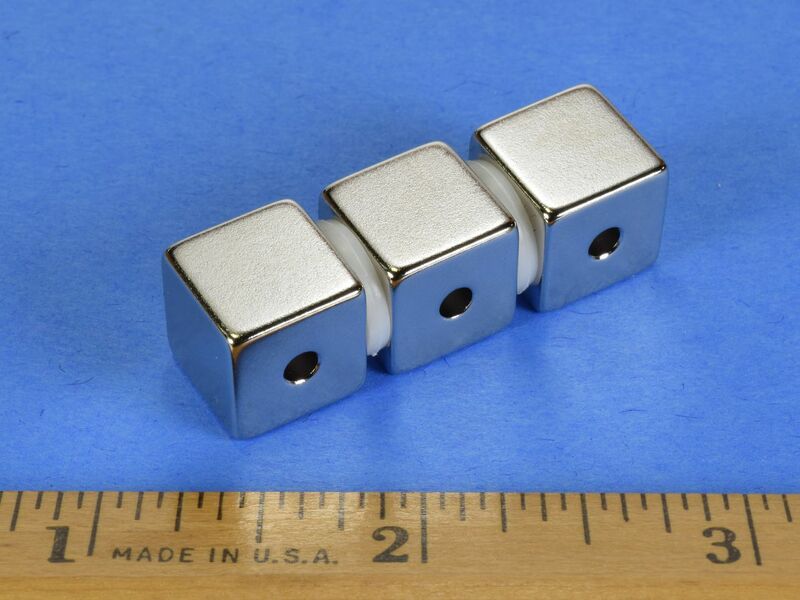 These 1/2" cubes are designed to be used with our B888-2PA-N52 cubes to create Halbach Arrays. 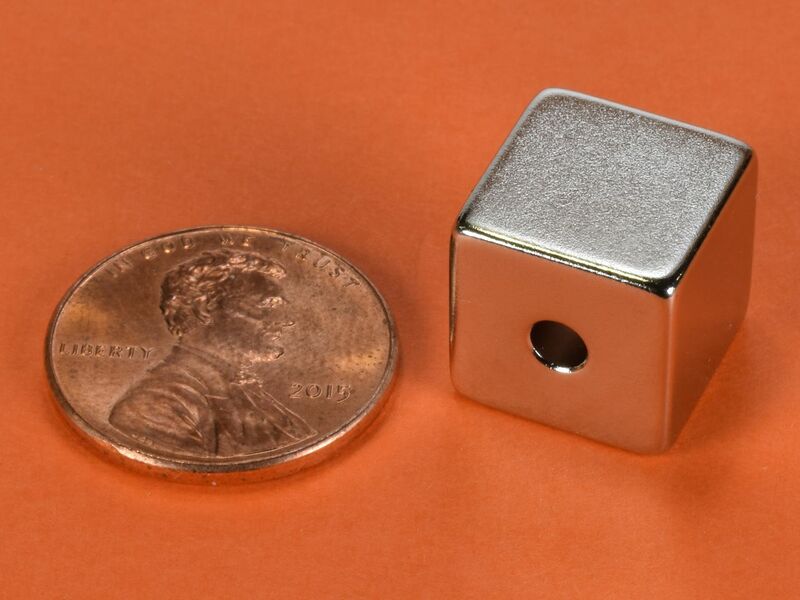 The holes are sized to allow a 1/8" rod to pass through, which will hold the magnets in alignment in two dimensons, allowing easier assembly. 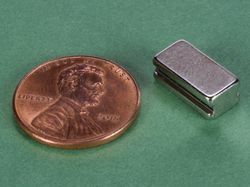 Threaded rod can be used, which will allow nuts on each end to provide the clamping force needed, or plain rod can be used with any other clamping force.